One in 10 patients fails to attend their appointment. This causes delays to your treatment and also results in others waiting longer for an appointment. Please contact in advance if you need to change or cancel your appointment. We recommend you directly contact the clinic you have been referred. Clinic phone numbers are available in the directory of clinics or by referring to your appointment letter. You may be given a 'Patient Satisfaction Survey' upon arrival to the clinic. We ask that you complete this anonymous survey and leave it in a designated box prior to your departure. Completion of this survey will assist us in improving the service provided to you and other patients. 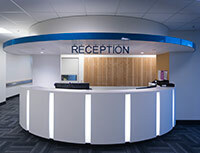 Information about providing feedback is located at the front reception within Outpatients Clinics.